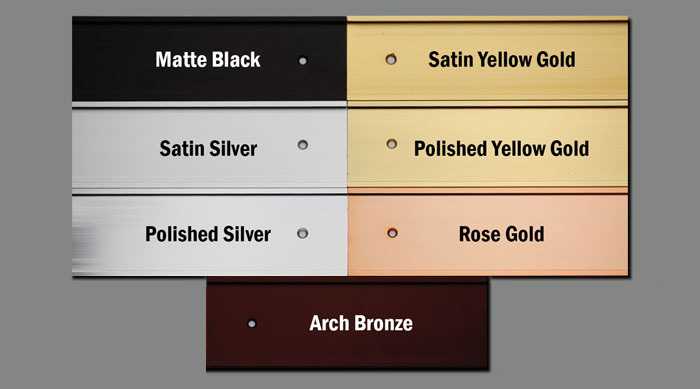 This page displays the various metal sign frame colors available. The various frame colors allow for easy color coordination to match your office interiors, existing office signage and company decor. Please note: Every computer monitor displays color a differently so please be aware of this when using this color chart as a guide. 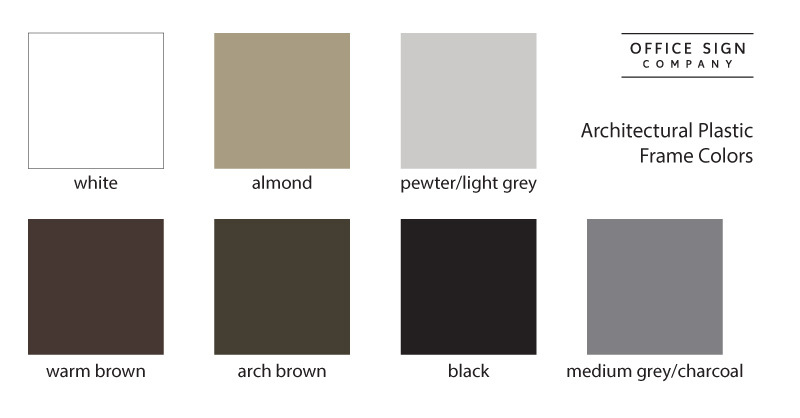 Please use the color notes below to aid in choosing the correct sign frame color. Not all colors are in stock and readily available. Certain colors will need additional fabrication time. Polished Silver - a brighter silver that has more shine than the satin silver frames.